The Vodafone Hibiscus Festival’s theme, the Five Rs, was discussed by Shalendra Prasad, Vodafone Fiji acting chief marketing officer. Refuse: As ordinary citizens, we can take decisive action by refusing to buy or accept products sold in the markets that harms your family and environment. You have the power of the dollar in your hand and use that power to tell the companies that what you want should be environmentally friendly. Refuse to buy harmful products that destroy the environment and rivers. Ask the question to yourself: Do I really need this? What is the environmentally friendly alternative that I can buy? Reduce: Reduce is to use less. Think about what you use and buy or could you use less of it. Reduce the electricity bill by switching off power in an empty room. It will not only reduce your electricity bill, but also reduce the carbon emission that the diesel generators are used to produce electricity. Don’t just switch off your electricity on Earth Hour Day for an hour; it will not going to save the world. Form a habit of reducing consumption in usage for environmental safeguarding on long term preservation. Reuse: Reuse something that you already have instead of buying. Replace needing a single use item with another new one when you can reuse the item again. Examples are reusable water bottles, gallons, etc. which can be used over and over again. Repurpose: Repurpose is to take something and use it for another use. This requires innovation and craftiness, but it does not have to be beautiful. One of the example could be reusing scrap paper for taking notes, repurpose metal cans, buckets etc. to plant flowers. There are many uses of items that you can always use it for another purpose. 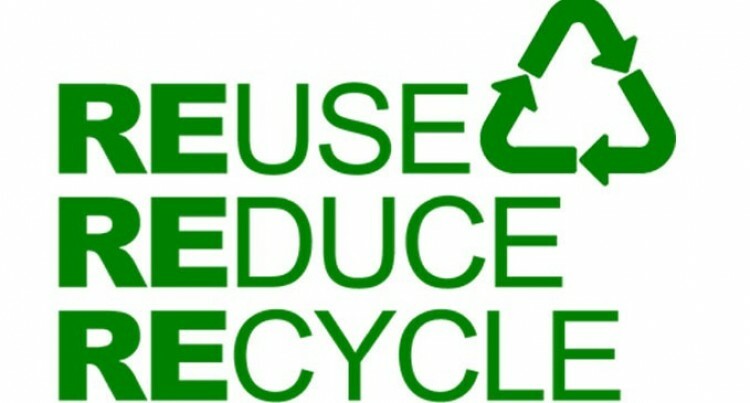 Recycle: Recycle is a great way to open your eyes to rethink your future purchases. One of the best things about recycling is that one man’s trash is another man’s treasure. An item could be rubbish for you to throw could come in handy for someone else. Try and use as much of the resources available.